A full-zip hooded jacket built to keep you dry and warm in wet and chilly conditions. Featuring Columbia's Omni-Tech™ waterproof-breathable fabric, 60g insulation, zippered hand pockets, and adjustable hood and cuffs. A full-zip hooded jacket built to keep you dry and warm in wet and chilly conditions. 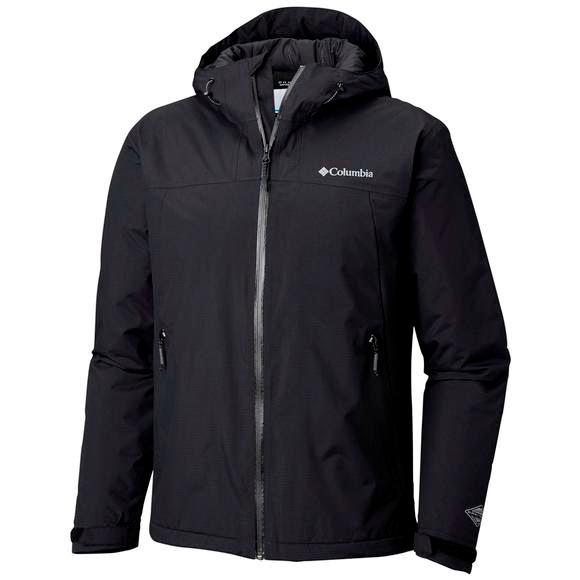 Featuring Columbia &apos;s Omni-Tech™ waterproof-breathable fabric, 60g insulation, zippered hand pockets, and adjustable hood and cuffs.